Even if you believe you have largely forgotten the incident or the person, a part of your brain remains focused on the bitterness and injustice. It festers and creates more bitterness and injustice for you to face. Bitterness and injustice don’t get you what you want. Firstly, vital to your goal is that you must be clear that things don’t just happen to you. It’s quite simple, really. You create everything that happens to you. You may not think so, but this is a good thing and you’ll find out why in a minute. You’ve created your health, family, relationships, career, wealth/poverty, and happiness/sadness. Everything. This claim is grounded in science. Quantum theory has proved that what you think creates what you are experiencing in your life. Most people don’t understand the power they have, that they are able to create their life with every thought. The mystery lifts and life makes sense. With this in mind, it follows that if you create your life, you should take responsibility for any altercations you have. This doesn’t mean you go from blaming other people for your issues to blaming yourself. There is just ‘no blame’. Find out why in the next few paragraphs. Blame can feel deliciously sweet; you feel absolved of the situation and it’s a chance to complain and have others feel sorry for you. You can always find someone to blame such as the government, your parents, partner, friends, employer etc. This is an emotional addiction similar to smoking, alcohol or drugs. Instead of feeling sorry for yourself, you can use such incidents to better understand yourself. The better you understand yourself, the easier it is for you to create wonderful things in your life, so let’s do that. You have that choice. Behind most of our thoughts we have rigid and embedded attitudes, beliefs and habits, which are so deep that they are unknown or secret to us. They hinder us and we robotically, unconsciously think according to these programs; we see things according to these unhelpful filters and we impulsively (over?) react to events. Yes, quantum theory says you actually do create your life according to these limitations, because they are what you’ve been thinking. Most of us have been locked into our same old program since we were children. Our life stagnates. But if you become aware of these attitudes and beliefs, you can change them to fresh new powerful thoughts; thoughts that will get you what you want. So, how do you develop awareness of your attitudes and beliefs? One way to discover your limiting attitudes and beliefs is to utilize your interactions (or altercations) with others. The way people treat you correlates with the thoughts you have and how you treat yourself. They’re giving you feedback. They’re clues about how you think! Your thoughts vibrate at a certain frequency and these attract to you people with like thoughts. Have you ever heard the phrase, ‘We’re on the same wavelength?’ It’s no mistake. In observing how others behave and treat you, you get to understand what you are thinking. You only see yourself in others, you don’t see them; you can’t see them. You may see someone as insensitive, but they are only a ‘mirror’ for you to see yourself. And yes, it does hurt, but you created it and you allowed it to hurt. If you feel unworthy or you constantly reject yourself, guess what? You’re going to attract people who do that to you. Simply put, your thoughts are creating your life, and who does your thinking for you? You do. So wisely use your thoughts to change your life to what you want. So, if you don’t choose to take responsibility for the dispute and use the incident for your betterment, then you lose that opportunity and are effectively handing that person your power, because they now decide how you feel. They decide whether you are happy or sad. And remember, if you focus on retaliation, people will retaliate upon you. Life becomes harder. While locked up in a cycle of blame, it is almost impossible for you to focus on and experience joy – you are effectively in a self-created prison. Or you can stop waiting for others to ‘behave’, so you can be happy. You can decide to release them and gain freedom for yourself instead. You gain the power to decide how you feel and what you want out of life. The first time you hear news such as this, it can be incredibly confusing, it may even seem ridiculous. But there is no need to reject or accept the information or for immediate action. Contemplate it for a while. Once you are ready to truly take responsibility for your life, to start getting what you want, then all you need is the intention to try it out. b) See blame for what it is. Accept that although it may be hard to be honest with yourself, you’ll be honest anyway. This is the toughest part of taking responsibility, but once you’ve seen blame for what it is, you are instantly more powerful and free to get what you want. 2. Take a stance of no blame, no right and wrong. No-one is to blame; just remain curious as to the message for you in the incident. Be willing to learn about you. You may create more effective questions of your own and certain questions will resonate. Use them. 4. Look for aspects of yourself where you feel inadequate i.e. deprived, inferior, bitter, guilty, anxious, sad, self-pitying, jealous, hateful etc. Contemplate how you can turn this around into growth and benefit for you. Many people find contemplation a chore. Motivate yourself by finding creative, rewarding ways. Put on some peaceful, uplifting music; spend some time in nature; have a bath, a cup of coffee or a glass of wine. Consider yourself worth the investment. 5. Acknowledge it once you can see something to work on in yourself. 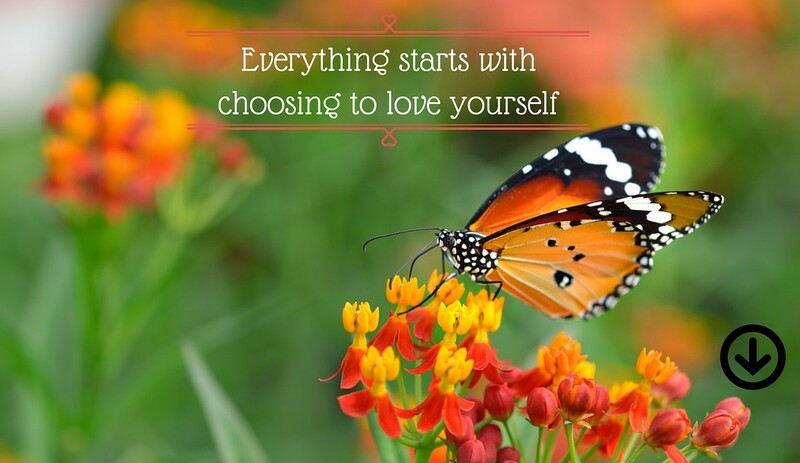 In doing so you release it and this brings peace and freedom to you. It really is that easy. Place these on cards around your home and workplace, and say them out loud when you see them. As you see these thoughts in your mind, you are creating them in reality. 7. Remember: You can have what you want. If you want it, create the thought. Now, what about this person in your life? Because forgiveness happens within you and by removing blame you help yourself, there is no need to say anything regarding the issue to the other person. Now that you understand what is behind altercations, all you need to do is acknowledge to yourself that you are at peace with this person and that you consciously release the altercation from your life. The more you can eliminate (or at least reduce) being hurt or offended, the more powerful and happier you become. You march on stronger towards a fabulous life and you are free to focus on getting it. Do you know anyone who would like to get anything they want? 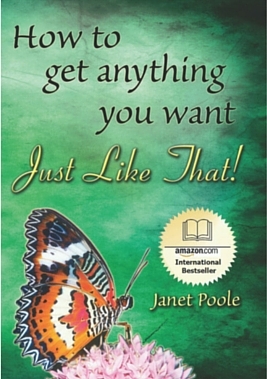 Visit www.janetpoole.com for the book ‘Just Like That! ’ How to Get Anything You Want. You are entitled to get what you want and be happy. Find out how and why. 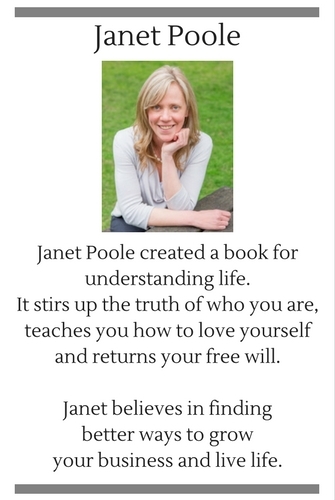 The book uses the forgotten truth of ancient wisdom to expose and liberate you from hidden, entrenched social rules and traditions which rob you of what you want. 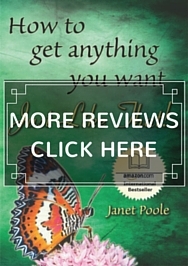 It provides an in-depth, practical, street-smart approach to getting what you want. 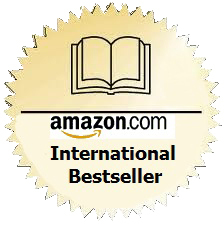 It also offers exercises that help integrate the knowledge into your life.